A thrilling adventure awaits Thomas at Dragon Island! 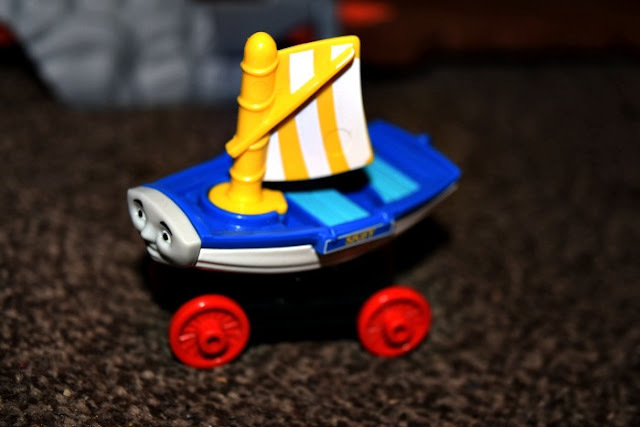 When Thomas finds a shield on Misty Island he bravely goes to explore Dragon Island to seek out the legendary dragon. With a volcano on the way though, Thomas must try and escape, but first he must cross the dragon bridge. 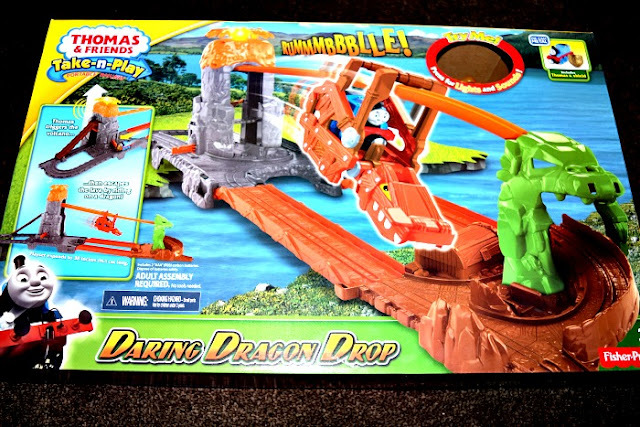 The latest Take-n-Play Thomas & Friends set from Fisher Price, 'Daring Dragon Drop' is full of excitement and adventure for children with a big imagination. Your child can help Thomas escape from the erupting volcano by taking the zip line down the dragon bridge. Gracie and Zach love the erupting volcano. 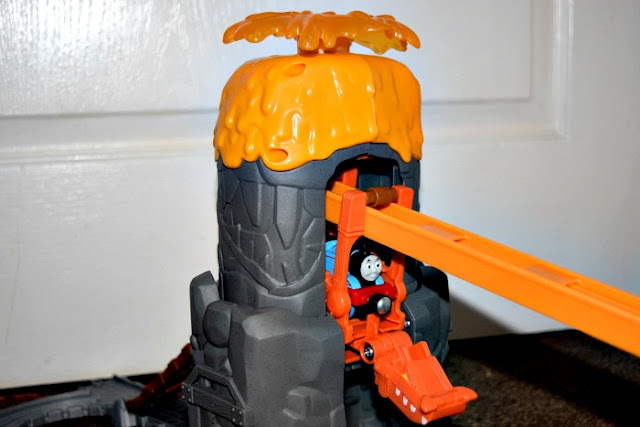 They pop Thomas into the zip line carrier and press down the volcano, when it pops back up, Thomas glides down the zipline and out of the Dragons head before racing around the track. We do sometimes have issues with the volcano releasing the zip line carrier. I am not sure why as sometimes it works perfect and others I have to fiddle around with it to let him go. The Take-n-Play Thomas & Friends Daring Dragon Drop has a RRP of £36.99 which is a little pricey but is typical Fisher Price quality so will be long lasting and another great addition to the Thomas & Friends range. Every family needs a good toy train set and this one will be loved by girls and boys. Gracie and Zach haven't seen the new movie yet but they really like Skiff so I am sure we will have to watch the new movie very soon!